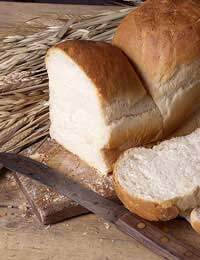 Bread is the most basic of foodstuffs: just mix flour with water, salt and yeast, expose to a hot environment, and there you have it, the basis for a myriad of lunch and supper menus. Not surprisingly, the Italians are as imaginative with this dietary staple as they are with the rest of their culinary repertoire, and you’ll find regional variations of many loaves that reinforce the fierce local pride that underpins the nation’s rich culinary heritage, and makes it so attractive to outsiders. Of course, whether you are preparing a basic pizza dough, a pane integrale, or wholewheat, bread, perhaps some focaccia, or a ciabatta or slipper bread that still appear, if you excuse the pun, to command a greater deal of dough at the smarter UK delicatessens, you can be as creative or as simple as you like. It could just be the addition of some fresh herbs such as parsley or basil into the basic dough, or some olives, sundried tomatoes or slices of prosciutto crudo, or cured ham; more ambitious approaches may call for cheese or meat to turn the loaf into a stuffed creation that represents something more special. Whichever avenue you choose, and don’t tell an Italian you are taking liberties with an established recipe, the starting point is always the aforementioned flour and yeast. Begin by purchasing a quality strong white bread flour, available for most stores. You could, of course, secure some doppio zero (look for the 00 on the pack) flour from a specialist Italian food supplier, but the success or failure of your loaf will not revolve simply around the authenticity of the flour. In terms of yeast, you could buy some fresh, but for convenience a sachet of the dry variety will suffice. The first step is to clear a large, clean, cool section of worksurface in your kitchen that will allow you sufficient room to work the dough. Pour around 250 grams of flour onto the surface and add a teaspoon of salt. Mix the dried yeast in a cup of tepid water, and add a spoonful of sugar. Cover with some clingfilm and leave for 10 minutes to allow the yeast to ferment. Then make a well in the middle of the flour, pour in the yeast mixture together with a good slug of olive oil. Begin working the flour into the liquid from the outside in, until you are left with a large smooth ball of dough. If the dough is too wet, simply add a little more flour; too dry, a little more tepid water. The quality of the final loaf will be down to the kneading, so work the dough well, pushing down and out with the heal of your hand and then pulling the mix back towards you. After kneading for around 10 minutes, place the dough in an oiled basin, cover with clingfilm, and leave in a cool dry place for about two hours to prove. The action of the yeast will result in your dough doubling in size. “Knock it down” by simply tapping the top, take the dough out and work it some more on your surface. Return to the bowl, recover and leave for around 40 minutes. Heat the oven to around 220 degs C, shape the dough to your preference and place on a preheated baking stone or oiled baking tray. Place the dough in the oven, remove when the outside is golden brown, reduce the oven to around 150 degs C and pop the loaf back in. After an additional 20 minutes, take the loaf out and tap the base – if it sounds hollow, then it is ready. Allow the loaf to cool before placing on a cutting board in the centre of the table with a large sharp knife and a bowl of extra virgin olive oil and some freshly ground black pepper. The smell of freshly baked bread alone will be enough to draw the expectant diners to the table. love this website, i have been making home made Pizza, pizza Dough for the last few years now, love it, the family love it, starting to make my own bread now. Happy New Year!!!!!! !